The Duke of Edinburgh has hosted a reception at Hillsborough Castle, Northern Ireland, to celebrate those who have achieved The Duke of Edinburgh's Gold Award. Founded by The Duke in 1956, The Duke of Edinburgh's Award (DofE) is the world's leading youth achievement award that develops over 400,000 young people for life and work every year in the UK. At the Hillsborough Castle reception The Duke met a number of young people and heard about their journey to achieve the Gold Award, which takes a minimum of 12 months. Participants must be successful in five areas to achieve the Gold Award. 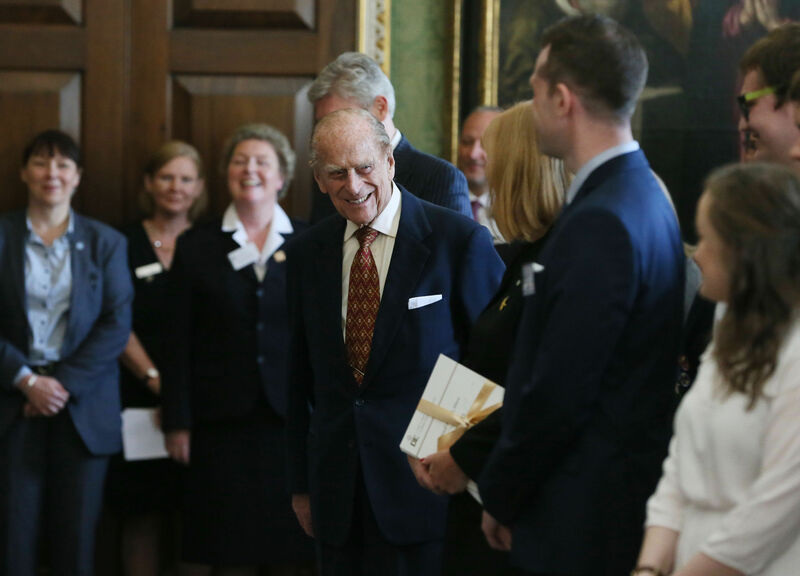 Earlier in the week The Duke, DofE Patron, hosted a Gold Award Reception at Buckingham Palace. His Royal Highness was accompanied by The Earl of Wessex, DofE Trustee, and The Countess of Wessex who last year completed a 450 mile cycling challenge to celebrate DofE Awards 60th anniversary.